If your property in Huntington, New York area, is damaged by fire, water, or mold, or you need a reliable, affordable restoration and cleaning company that can be onsite within hours – call RestorationMaster at 631-206-6808. 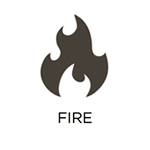 Our fire professionals have years of experience in fire damage restoration and cleanup. Quick response to fire damage will minimize further destruction to your home and belongings. With our years of experience, we know that quick fire clean up can reduce your losses after the fire has been terminated. Our flood cleanup crew will take your call 24 hours a day, 7 days a week, 365 days a year and can be on site within a couple of hours from the time we receive your call. 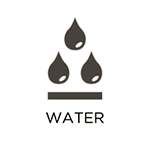 We are IICRC Certified and adhere to all procedures and protocols while cleaning water damage. We are available to help whenever wherever your property is in trouble. There are a number of causes of flood damage that we regularly see in Huntington, NY. Whether you are a homeowner or business owner, the consequences of these events can be severe. Structural elements of your building can become unstable, personal belongings, electronics, and important documents can be permanently damaged, mold growth and bacterial growth can begin, and harmful sewage can spread. If any of this occurs on your property, we encourage you to take advantage of our flood damage restoration services. RestorationMaster is a trusted name in the disaster restoration and cleaning industry because of our focus on delivering exceptional services. We will do everything possible to restore your property and belongings back to their original condition. 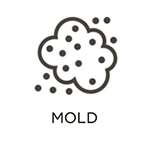 Our experts have been remediating mold for over 20 years while working closely with you and an indoor environmental hygienist to return your structure to a safe and healthy environment as quickly and efficiently as possible. We can provide free estimates when dealing with mold in your home. 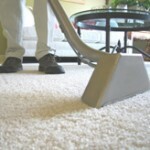 Our carpet cleaning technicians are fully and continuously trained in the methods and procedures of today’s new fibers and fabrics. We use the newest and best equipment in the industry.